As previously mentioned here, this spring Kris Menace releases his long awaited second album, ‘Electric Horizon’, on Compuphonic. This follows up his lauded 2009 release, ‘Idiosyncrasies’, which sold out after only a few weeks of its release and established Kris as an exciting and respected electronic artist. Kris’ releases, projects and collaborations became highlights for many DJs and have been signed to some of the most influential labels in electronic dance music. He regularly gets the support of the world‘s biggest and most respected DJs and at the same time he receives sponsorship from "Waves" and "Arturia", two of the big electronic music instruments producers. Since 2005, Kris Menace has been known for his releases and collaborations with Fred Falke, Felix Da Housecat, Rex the Dog, Aeroplane, DJ Pierre, Alan Braxe and many more. As a remixer, he teamed up with Depeche Mode, Robbie Williams, LCD Soundsystem, Kylie Minogue, Booka Shade and many others. He has also worked on several side projects such as "Black Van" (DFA / Permanent Vacation) or "Stars on 33" (Eskimo). 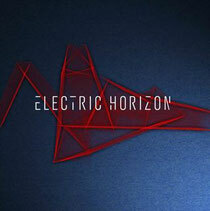 ‘Electric Horizon’ should consolidate Kris as a musical pioneer and one of the founding fathers of the exciting Nu-Disco sound. This album takes that sound to a whole new level, layering melancholy, melody and hooks. Kris is known for his unique touch production wise and often chooses to focus on the music in its purest form, therefore ‘Electric Horizon’ is fully instrumental. The first single of the album, ‘Falling Star’ was released on March 5th and Kris landed a huge coup for the video with his collaboration with legendary London based duo "Hexstatic" (Ninja Tunes). Check the album trailer below. Out 23rd April.